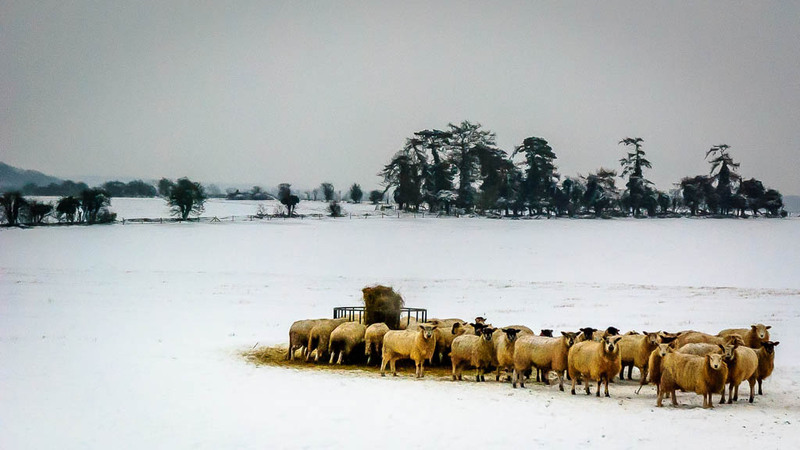 OK – so we’ve had no snow at all this year except for a few flakes that didn’t settle – I guess I am kind of disappointed, so I have pulled out a photograph I took around this time last year – I had taken the kids to school and stopped on the way back because I had seen these sheep in the field – I wonder what sheep make of snow? Still, I expect they are warm with those full woollen coats! Processed in Lightroom 4 – removing noise (was shot at ISO 800, not sure why…probably the previously used settings…given the fast shutter speed, I should have dropped the ISO and closed down the aperture a little…but c’est la vie…), improving exposure (cameras often get ‘fooled’ by snow) and adding graduated filter to sky.